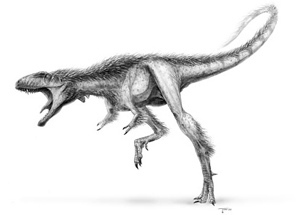 of the gigantic fifty-foot long, seven-ton carnivore but the Tyrannosaurs ranged in size down to the recently discovered 2.5 ton (not all that) Tiny Tyrannosaurus as well. There is some discussion as to whether the Tyrannosaurus Rex was a hunter or a carrion eater. The argument kind of goes that he was too big to succeed, wasn't fast enough or sly enough to catch living prey. Personally I'd think that most any buffet-beastie would tend to freeze rather than move and attract this hungry monster. Originally posited in an upright stance with his tail dragging along the ground, snakelike, he was pictured as essentially a blundering and clumsy Frankenstein's monster kind of fellow. Towering at twenty-five feet, however, he was able to see what he couldn't shuffle after fast enough to catch and perhaps spot a broken down lunch wagon. 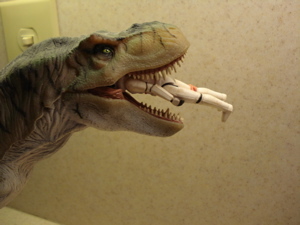 The contemporary T-Rex is posed in a much more active stance. A pose that implies its predatory behavior and its energy. With the tail stretched out behind and ten feet off the ground, the head held up and thrust forward fourteen feet or more in the air, today's T-Rex is as fearsome a creature as has ever been imagined. On the other hand such creatures as the always terrifying Godzilla have been based on that early conception of the T-Rex. You can find out more about the Tyrannosaurus Rex here if you are so inclined. ... can quickly get out of hand. On the other hand he can be very helpful in the kitchen and seems to love baking and preparing food for local cake sales. 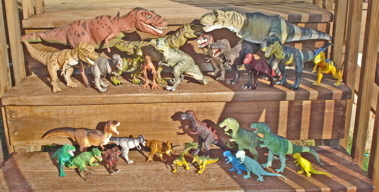 The Popularity of the Tyrannosaurus Rex Can be Seen by the Length of this List of Tyrannosaurus Rex Dinosaur Toys... VIVA Tyrannosaurus Rex! 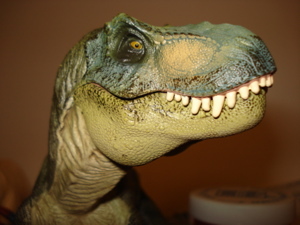 Tyrannosaurus Rex toys can be purchased on Amazon by clicking here! 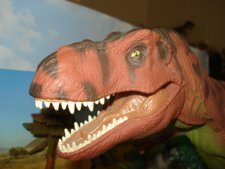 Read about the T-Rex at the NC State Fair- from our blog. October 20 & 21, 2009. The Rexford 2010 Blog Archive, all Rexford, all the time. Creation, extinction, the State Fair, the DMV, elections, Christmas and much more. 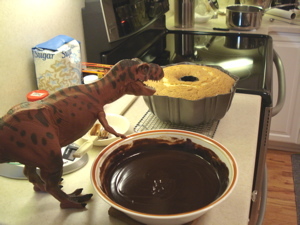 Nothing is safe, nothing is sacred, when Rexford gets involved. 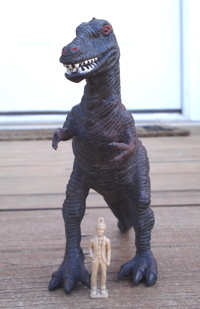 It seems that any company that makes Dinosaur toys has at least one Tyrannosaurus in its inventory. 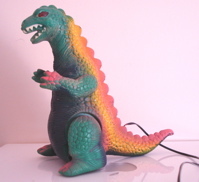 And of course, no Dino toy box or Dinosaur collection would be presentable, much less complete, without ole' T-Rex to lord over it. 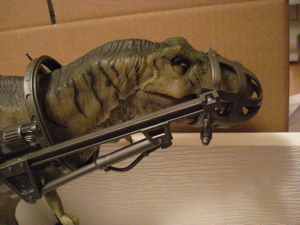 The Papo T-Rex seems to have a smug expression over that (and a scary overbite to go with it). 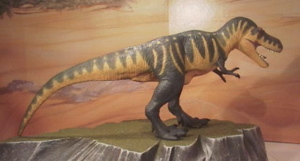 If you are not interested in the Tyrannosaurus and want to look at other Dinosaurs you might prefer our home page is where you can go to to find both other Dinosaur toys (as they become available) in the list of Dinosaurs on the left side of the page and Dinosaur toy companies.